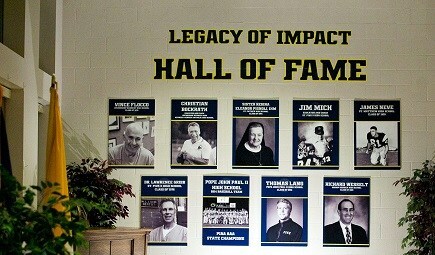 Or lifetime achievements in the PJPII community and beyond! By induction in the Legacy of Impact Hall of Fame, they will forever be recognized as representing the BEST of Pope John Paul II High School. Inductees that have demonstrated a significant impact in life and made outstanding contributions and brought widespread recognition to the school and the the community. Their success is a reflection of the opportunities provided them throughout their high school experience! The goal is to create interest in and realize the heritage of Pope John Paul II High School and the Impact we have on Today, Tomorrow and Forever!